Shop up to 50% off in the Easter Sale and receive a FREE lookfantastic Gym Towel when you spend $120! 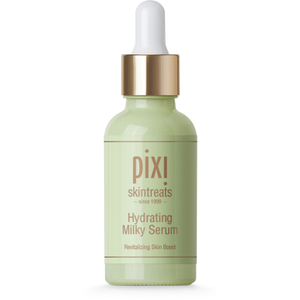 Reveal a radiant glow this festive season with the PIXI Skintreats Duo 2. The peel and toner work in tandem to promote a smoother, brighter, healthier-looking complexion. The perfect pre-party skin prep. 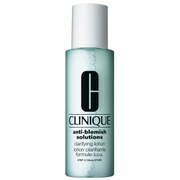 An exfoliating face toner that exfoliates and purifies to promote smoother-looking, radiant and clarified skin. Formulated with 5% Glycolic Acid and a blend of Aloe Vera, Ginseng and botanical extracts, the gentle, glow-inspiring solution sweeps effortlessly over skin, eliminating excess oil and impurities to leave pores looking refined and skin's texture smooth and radiant. 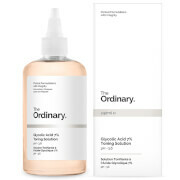 Highly concentrated, the invigorating toner will leave skin feeling hydrated, nourished and pampered. Alcohol free. This radiance revealing enzyme peel resurfaces for smoother, softer skin, and a healthy looking glow. Natural fruit enzymes loosen dead skins cells, lactic acid gently exfoliates, cellulose peels & sugar extracts polishes, lifting away dullness revealing brighter skin. Professional salon peel treatment without leaving home! Toner: Use AM and PM or as needed. 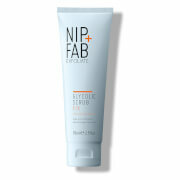 Saturate a cotton pad with the tonic and sweep across face, neck, and décolletage after cleansing, avoiding eye area. Toner: Aqua, Aloe Barbadensis Leaf Juice, Glycolic Acid, Butylene Glycol, Glycerin, Sodium Hydroxide, Hamamelis Virginiana (Witch Hazel) Leaf Extract, Aesculus Hippocastanum (Horse Chestnut) Seed Extract, Hexylene Glycol, Fructose, Glucose, Sucrose, Urea, Dextrin, Alanine, Glutamic Acid, Aspartic Acid, Hexyl Nicotinate, Panax Ginseng Root Extract, Ethylhexylglycerin, Disodium EDTA, Biotin, Panthenol, PPG-26-Buteth-26, PEG-40 Hydrogenated Castor Oil, Phenoxyethanol, Fragrance. Peel: Water/Aqua/Eau, Lactic Acid, Polylactic Acid, Helianthus Annuus (Sunflower) Seed Oil, Cetearyl Alcohol, Propanediol, Ceteareth-20, Beraclay Light Red, Hamamelis Virginiana (Witch Hazel) Water, Panax Ginseng Root Extract, Carica Papaya (Papaya) Fruit Extract, Saccharum Officinarum (Sugar Cane) Extract, Acer Saccharum (Sugar Maple) Extract, Cucumis Sativus (Cucumber) Fruit Extract, Citrus Aurantium Dulcis (Orange) Fruit Extract, Citrus Limon (Lemon) Fruit Extract, Vaccinium Myrtillus Fruit Extract, Hydroxyethylcellulose, Polyglceryl-3 Cocoate, Butylene Glycol, Maltooligosyl Glucoside, Glyceryl Stearate, PEG-100 Stearate, Caprylic/Capric Triglyceride, Dipentaerythrityl Tri-Polyhydroxystearate, Hydrogenated Starch Hydrolysate, Phenoxyethanol, Caprylyl Glycol, Sodium Hydroxide, Xanthan Gum, Polyglceryl-4 Caprate, Polyglceryl-6 Caprylate, Polyglceryl-6 Ricinoleate, Pentylene Glycol, Sorbic Acid, Hydroxyphenyl Propamidobenzoic Acid, Ascorbyl Palmitate, Benzoic Acid, Tocopherol. Write a review to be in with a chance of winning a $100 voucher.